Resource > Video > How to Download Music from YouTube? Summary: All the songs are YouTube are free but YouTube doesn’t provide a download feature, so how to download music from YouTube? Here we are going to show you some methods to download music from YouTube. The original purpose of YouTube was to allow users to share their videos with anyone in the world using a free and simple platform. While that’s still one of its main functions, today YouTube is used for much more than that. From live streaming to offering a place where artists can promote their latest music videos, YouTube is now the go-to place for checking out video content in all of its forms. In addition to watching various types of videos, a large portion of users also prefer YouTube over other platforms as a music streaming service. The main advantage of YouTube as a music streaming service is that all songs on the platform are free. And, as I’m sure you already know, there are countless songs available on the website. That said, there are also some disadvantages, the main being the ads. Now, ads are a necessary evil for a platform like YouTube but that doesn’t make them any less anyone when you’re trying to listen to a playlist and an ad interrupts your music every couple of minutes. Don’t worry, though, because today we’re going to teach you how to download music from YouTube so that you won’t have to worry about that ever again. There are several different methods for downloading music from YouTube, some of which are better than others. For example, you may want to use a free online tool if you want to quickly download a song or you can even download music from YouTube more directly if you need a royalty-free song for one of your videos. On the other hand, if you want to download entire playlists you’re going to have to install a dedicated software that can reliably do that job for you. We’re going to teach you how to download YouTube music using all of these options so be sure to pick the one that’s most suitable to your current needs. We’re starting off with the most solid option, which is downloading and installing a specialized YouTube downloader. There are a few different tools that you could use for this but we recommend DVDFab YouTube to MP3 because it was designed specifically for that purpose and there’s no nonsense like ads or anything like that. You can also download YouTube music with this tool without having to worry about slow speeds or annoying restrictions. 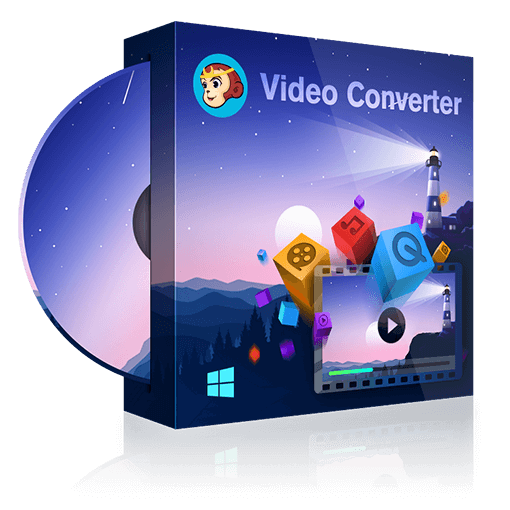 In fact, this is the fastest YouTube downloader and converter out there right now and you can get it for free. 1. Download and install DVDFab 10 from the official website. Open the software and then located the Utilities module located to the far right of the menu. Here you can find several useful tools but for now, go ahead and pick YouTube to MP3. 2. Open the tool and then go to YouTube and use the search function to find a song you want to download and copy its URL. If you want to download an entire playlist, simply pick any song that’s part of that playlist and copy the link. 3. Now you can download music from YouTube by going back to the tool and clicking the Paste URL button. If the song was part of a playlist, the tool will ask if you want to download the entire playlist or just that individual song.If the URL contains a single song, the download will start automatically after you’ve clicked the Paste URL button. 4. Your song only takes a couple of seconds to download depending on your internet connection or a bit more if you’re downloading a playlist. Once the download is complete, click the folder icon to go directly to the location of the song/playlist you’ve just downloaded. If you want to change the destination folder, simply click the little folder icon found at the bottom of the UIbefore pasting the YouTube URL. A lot of people may not be aware of this, but you can actually download music off YouTube directly from the website without using any third-party software. The catch is that you can’t download any commercially licensed songs and definitely no playlists. Rather, YouTube provides creators with an audio library of royalty-free music and sound effects that you can download at any time provided you have an account. Needless to say, you won’t find the latest songs of your favorite artist here but this is still a nice option if you want to put together a video and need some background music or sound effect to go along with it. 1. Log into your account and click on your profile icon located in the upper right corner. Depending on whether your browser is up to date or not, the UI might look a bit different but we’re going to touch on that in the next step. 2. If everything is up to date, click your profile picture and select the YouTube Studio (beta) option from the drop-down menu. Now look to the left side and pick the Other Features option from the list followed by Audio Library. If you’re not up to date, click on your profile picture and then select Creator Studio -> Dashboard -> Create -> Audio Library. 3. Before you download music from YouTube you can preview each song so feel free to do that. You can also use the filters to sort available songs by genre, duration, instrument and more. Alternatively, you can just use the search function and type in some keywords to find the song you want. 4. Once you’ve found what you were looking for, you can download music from YouTube by simply clicking the download button located next to each song. Once the download is complete, feel free to use the songs for whichever projects you want. Online converters are another popular option you can choose when you want to learn how to download YouTube music. This option is not as good as getting a dedicated tool like DVDFab YouTube to MP3 but it does allow you to download any type of song, unlike YouTube’s Audio Library feature. In short, it’s somewhere in between the two other options we covered so it has its pros and cons. You can’t download playlists using this method but you can download music from YouTube without installing any other software so it can be a good option in certain situations. There are many online converters out there but for the purposes of this example, we’re going to show you how to get music from YouTube using a website called Vubey. 1. Visit YouTube and search for the song you want to download. Pick an option for the list and copy that song’s URL. 2. Go to the official Vubey website and you’ll be greeted by a minimalistic interface that tells you everything you need to know about this tool. Since this is a web-based tool, you can visit the website from any browser you want so just pick your favorite one. 3. Paste the URL you copied earlier in the first field, labeled Video URL. Use the second field to pick the quality of the song you’re about to download. You’ll probably want to go with Highest Quality but there are multiple options to choose from so feel free to pick any of the other ones if you wish. 4. Finally, click the Convert to MP3 button and a new message will appear that reads “Click here to download your MP3 file.” Click the link and wait a couple of seconds until the tool finishes processing the file. Hopefully, this article helped you learn more about how to download music from YouTube and you can now use one of the methods we described to download all your favorite songs. All three methods we discussed today have their pros and cons but we recommend using a dedicated YouTube downloader for the best results and especially for the additional features like the ability to download playlists. There are several YouTube downloaders out there that can get the job done but we believe the YouTube to MP3 converter from DVDFab is the fastest and most reliable software for that job. Here is the list of top 5 best MOV players that allows you to play MOV files on your Windows, Mac, Android, and iOS platforms. Need any YouTube to MP3 converter to extract MP3 from your favorite YouTube videos? Online and desktop programs provide different solutions. Here is the list of top 10 best YouTube Red movies. Check them and find the one to enjoy at your leisure time.